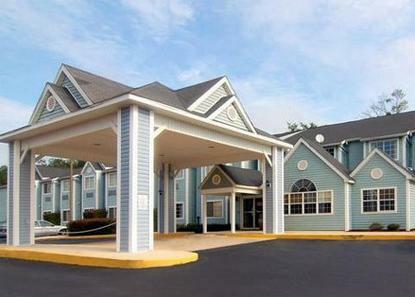 The Econo Lodge Tillmans Corner is ideally located near popular area attractions like Hank Aaron Stadium, Bellingrath Gardens & Home, the Port of Mobile, Robert Trent Jones Golf Trail and the University of South Alabama. The Mobile Municipal Airport is 12 miles from this Mobile hotel. Several shops, restaurants and cocktail lounges are within walking distance, including Fire Mountain, Golden Corral, Ruby Tuesday and Shoney's. A wide variety of recreational activities like billiards, bowling and ice skating can be found in the surrounding area. Guests of this Mobile hotel are invited to enjoy many amenities, including free continental breakfast, free local calls, free parking and free coffee.